A couple guys here at work are having problems with the undoutedly slammed Steam server and are also unable to play the new game they just spent between $50 and $80 on. 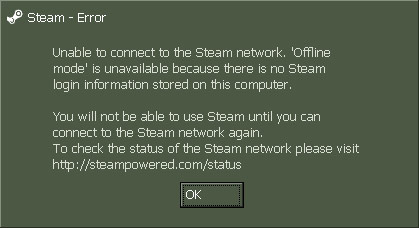 Even though I'm lucky enough to have played today, it took over an hour to install the game between the 5 cd's and the slogging Steam server. Another guy here tried to install after lunch and was still installing the game 1 hour and 45 minutes after he started. Nice. I love the game so far, so kudos to Valve - the install is definitely making them some enemies however. HL2 is playing OK on two machines - one at work and one at home. Only problem is I have to remember to take the CD home each night and bring it to work each day.